Chinese tech giant has one more chance according to the US trade adviser. The Chairman of Chinese telecommunications equipment maker ZTE apologised to the company's staff and customers after agreeing to pay the US a fine of $1bn to end the supplier ban which forced it to halt production. 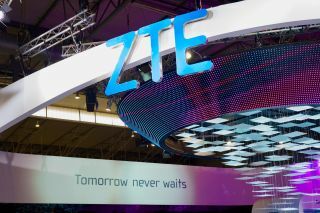 The deal will allow the firm to resume operations and rebuild trust with both its suppliers and its global clients though experts estimate it will take at least a month before ZTE is able to begin shipping phones again. The terms of the deal specify that ZTE will change its board and management within 30 days, pay a $1bn fine and put an additional $400m in escrow. A new 10-year ban that is suspended unless there are any future violations was also included in the deal. ZTE has a difficult path ahead as the company must now work to regain the trust of its US customers while avoiding any additional scrutiny from US officials.